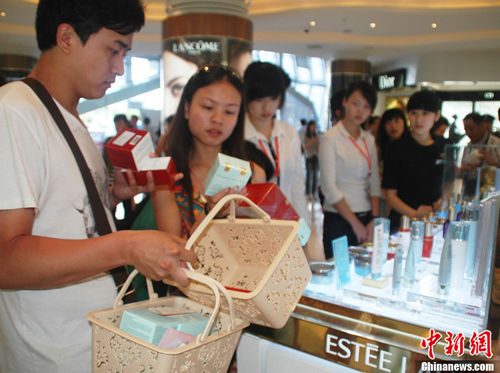 The Sanya duty-free shop welcomed its peak during the National Day holiday as tourists went bargain hunting during their holidays. Nearly 80,000 customers flocked to the duty-free shop from Oct.1-7 with daily visitor arrivals climbed to 11,000. 51,400 items were purchased in the shop and a total of 30,000 bills were paid. 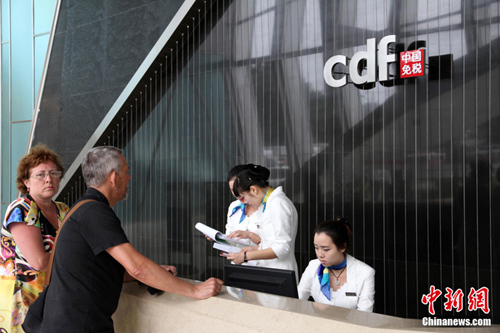 Statistics from the company showed that the volume of bills on Oct. 4 alone broke the historical record since the Hainan off-shore duty-free policy took effect in April. Among the total items sold in the shop, sales of perfume and cosmetics accounted for 49% while fashionable boutiques stood by 51%. Sales data collected by the company revealed that the top 5 most popular brands of perfume and cosmetics among customers were Estee Lauder, Lancome, CD, Chanel and Clinique.